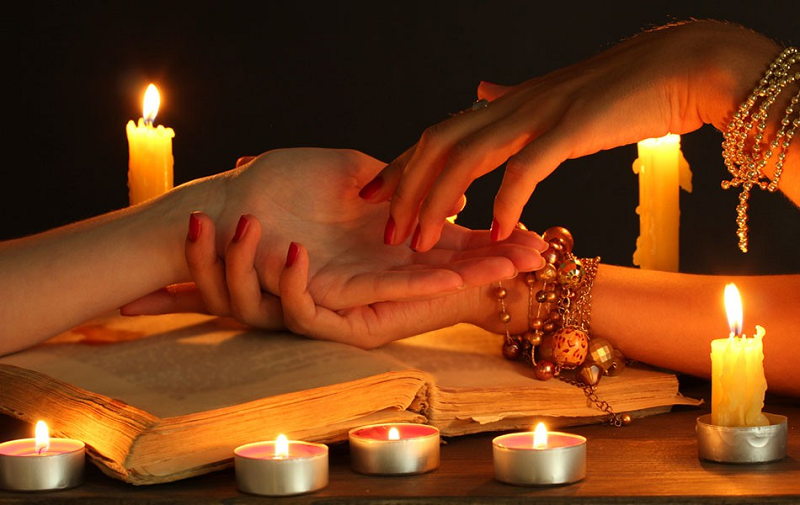 Chiromancy or Palmistry is the art of characterization and projecting through the study of the palm, the practice is world wide and has been used for many century to help people find the answers they seek in Love, Life or work. Your hands, fingers, feet and toes have ridges which were formed months befor you were born. These are the result of stress patterns durning your development in the womb. Everyone grows differently in their mother’s belly, these patterns are unique just like your personality. One of the first questions we find from new clients is “Which hand do you read?”, usually we read both hands to get a better reading and a full picture of your life. The active or dominant hand typically has better reads than the other, but both are truly needed to get a good feel of who you are and what you seek. The passive hand holds your inherit traits and potential. The difference in both hands shows the changes in your traits and can show your path. Humans have different hand types, not only can they be large, medium or small hand sizes, there are four major hand type groups your hand will fall into. This group will help the reader determine the lines meaning and strength. The lines of your palm are characterized into three catagories, Major Lines, Secondary Lines and Minor Lines. If you have many fine lines in addition to the Major Lines, it is said you are very complex and sensitive. The fewer fine lines, the more straightforward and blunt the personality. Major Lines are the three lines which are larger than the others. These are the Heart Line, Head Line, and Life Line. Your Heart Line holds the key to your love life, relationships and emotions. One which travels across the entire hand shows a person with very controlled emotional state. The Head Line indicates your intelligence, deternimnation and even your risk taking. Where the intersection occurs shows how fearless or cautious you are, the closer to the left the more cautious. Your Life Line shows how generous or selfless a person is. The closer the line is to the thumb, the less generous with their energy and time they are. Call today to schedule your Palm Reading and get a FREE bracelet with any $25 or higher reading!